Earn $132.71 in Rewards credit. Click to learn more. 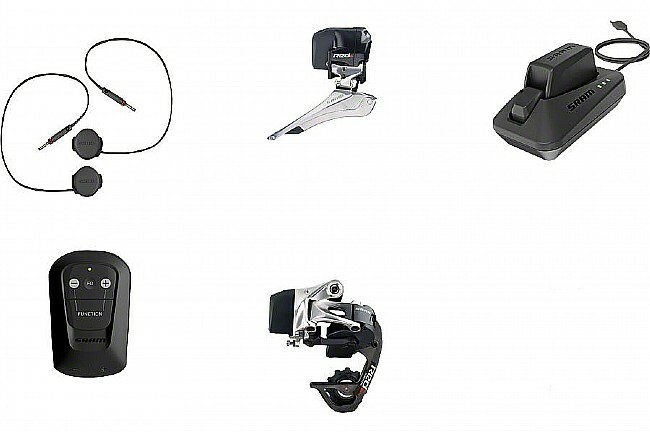 SRAM's eTap Aero/TT Electronic groupset shifting works on their own wireless AIREA™ technology, using Blip remote push-button shifters for a custom setup and precise shifting at the utmost echelon of performance. The four included Blip shift buttons can be mounted anywhere on your aerobar setup, and they link up to the BlipBox control module that is easily installed using the included Garmin-style mount. Rechargeable batteries in the derailleurs are interchangeable and good for a month of normal riding or about 620 miles in between charges, and the BlipBox uses a commonplace CR2032 coin-type battery and will last anywhere from 3 to 12 months. Indicator lights on each component will let you know far in advance if any of the batteries need to be recharged or replaced, and battery trickle is extremely slow when not in use, in part thanks to sensors that automatically put the components to sleep when you're not riding. This SRAM Red eTap Aero/TT Groupset includes four Blip satellite shifters, BlipBox control module, front and rear derailleurs, BlipBox handlebar mount, batteries and a charger. 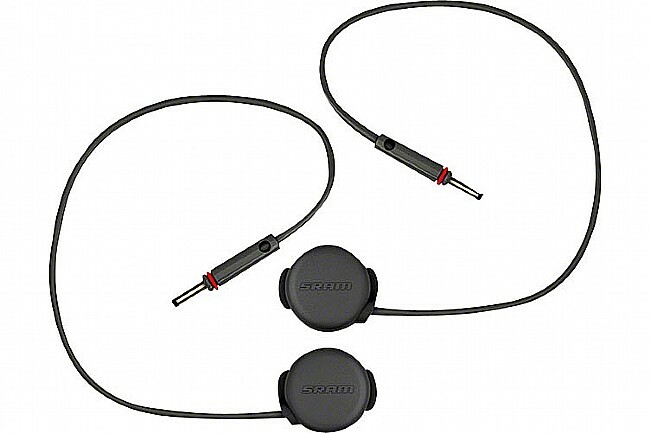 Compatible with SRAM 11-speed cassettes and cranksets only. Claimed weights are 31 g / BlipBox, 16 g / Blips (pair), 239 g / rear derailleur, and 187 g / front derailleur with batteries installed in all components. My Time Trial bike already has a complicated brake cable set up and this was a much needed clean up. After a few hundred miles I still haven't need to charge the derailleur batteries.